A rock concert with a difference, Legends On the Lawn is the perfect event for family and friends to get together. 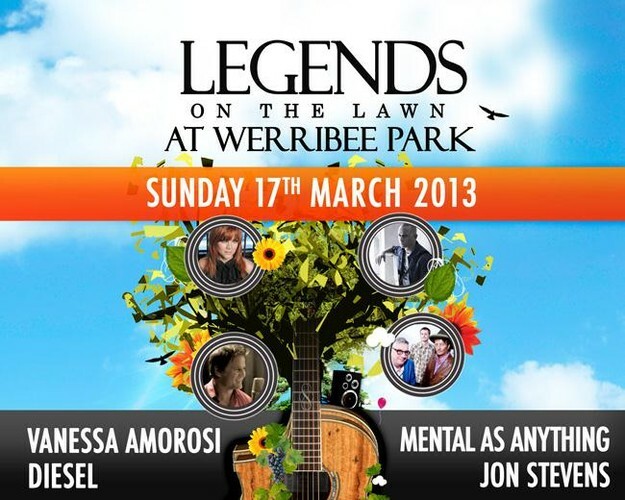 Below the beautiful backdrop of the Werribee Mansion, great music will be provided by Mental as Anything, Jon Stevens, Diesel and Vanessa Amorosi. Families are encouraged to take part in the children’s activities and bring along a picnic rug and a basket of food and drink to enjoy the afternoon.